This week's EtsyInspired shop is DollBirdies. 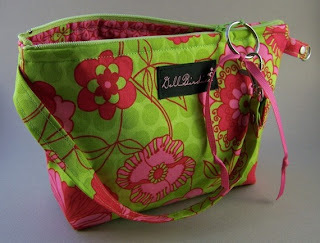 They make the cutest bags in a variety of really bright and fun patterns. I really could spend all my money in this shop! They have purses, diaper bags, wristlets, camera bags, wallets, plush toys, bibs, and so much more. I'm rather in love this this shop! This is where I'll be going for baby shower gifts from now on. This week, Dollbirdies is offering up a passport wallet to one lucky winner. You could also use this cute little piece to store business cards, ID and cash for going out, or even a cute little notepad for making notes in. This week, we have SRM Stickers sponsoring! Woohoo! I love their products! They are giving away a sticker prize pack to one lucky winner! 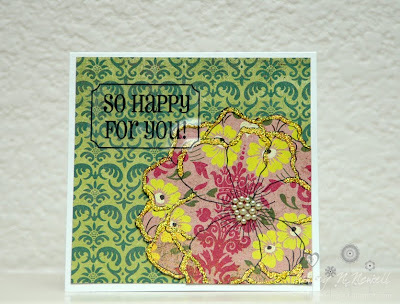 Here's a little blurb from SRM: SRM Stickers are widely use by many papercrafters and it has a blog every weekday with paper crafting projects using stickers! Bookmark, follow the SRM Blog as you don't want to miss a tutorial, feature, challenge, or giveaway! Here's my card for this week inspired by the purse above. I used an SRM sticker on this card, love them! Gorgeous! Love that flower with that DP! What a perfect card & I love the pearl center! LOOOOVE that paper! And that flower--oh my oh my! Great card! You always amaze me:) LOVE LOVE LOVE! Super gorgeous, Ashley! Love how rich and beautiful this card looks!! Beautiful use of the SRM Sticker!! Have a great weekend! OOOOhhh LOVE LOVE LOVE the bright flower and this color combo! Perfect to welcome in spring! And, the pearls are a fabulous touch! This is divine!